Typically used for expansion joints to stone, brick, concrete and composite panels, perimeter pointing on window and door frames, weatherproof sealing to most external applications, construction and dilation joints where stress does not occur until fully cured. 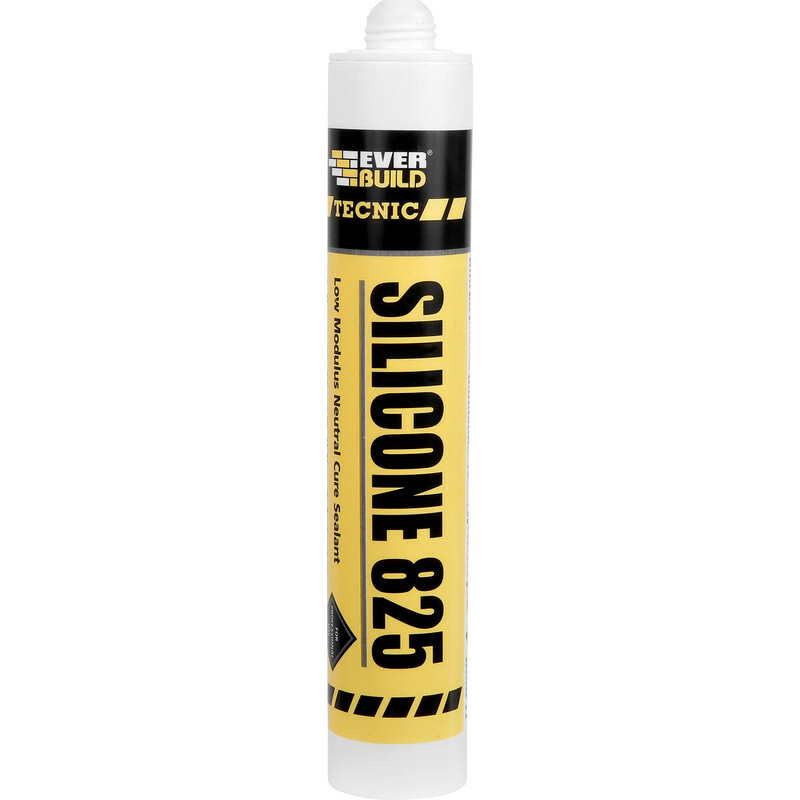 Everbuild Silicone 825 - 380ml Buff is rated 4.5 out of 5 by 19. Rated 5 out of 5 by Bugsie from Master Of mastics Great product does what it says. Rated 5 out of 5 by Rego 1 from Silicone Good value easy to use drys quite quick.a little bit sticky but a good finish. Rated 5 out of 5 by Jackthegripper from A good silicone I bought the Anthracite colour to go with slate window sills. This has a good consistency, is easy to work with and easy to clean up. It's too soon to comment on reliability or durability. Rated 5 out of 5 by Northernsoulie from Does the job reliably We use this at work and it's the best sealant we have found without spending silly money.